2019 Stargazing Calendar for Hawaii: Lunar Eclipse + Meteor Showers! 2019 is an OK good year for stargazing here on Hawaii. The Quandrantids meteor shower and total lunar eclipse are expected to put on quite a show, but that’s about it. Most other meteor shower are severely hampered by bright moonlight. This stargazing calendar will help you plan your nights to make the best of the biggest celestial events of 2019 To make the most of your time we recommend that you read our Meteor shower guide, which is filled to the brim with viewing tips and background information about shooting stars. Also, don’t forget to have a look at our guide: stargazing on the Big Island. 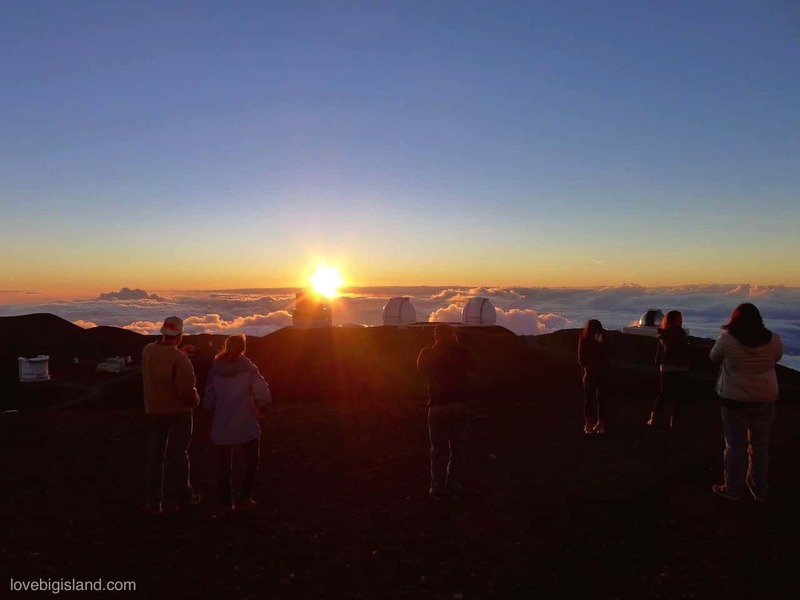 The Mauna Kea volcano on the Big Island hosts some of the best telescopes of the world, and a visit to these telescopes is a must if you are into stargazing! Stargazing highlights for Hawaii in 2019 are hands down the total lunar eclipse on January 31st, and the Perseids (August) and and Geminids (December) meteor showers. Unfortunately, an almost full moon will make the Quadrantids difficult to observe. The Quadrantids are one of the 3 biggest meteor showers of the year, and 2019 is a GREAT year to see its shooting stars! This meteor shower is expected to peak at January 3rd at around 4 PM HST (Hawaiian Standard Time), which means that the early mornings of January 3rd and 4th will be good times to look for meteors. The moon rises at 04:57 (January 3rd) and 05:49 (January 4th) but its light will at most be a minor annoyance as the new moon takes place on the 5th of January. Taken together, we think the early morning of January 4th is the best night to go stargazing, closely followed by the early morning of the 4rd. Try to be out sometime between ~ midnight and 4 to 5 AM for the best viewing conditions. 2019 starts truly stellar for stargazers with a total lunar eclipse to close the month of January. This eclipse starts on January 20th before moonrise when the moon is not above the horizon yet, but luckily the complete total lunar eclipse will be visible here from all Hawaiian islands. The total phase of the lunar eclipse lasts between 18:41 and 19:43 HST and will be visible low on the eastern horizon. Because the eclipse will take place just after moonrise the moon is very low on the eastern horizon during totality: between ~6 and 22 degrees. You can easily estimate this angle yourself! An object with 0 degrees altitude is right on the horizon, while an object at 90 degrees altitude is directly overhead. If you stretch out your arm and make a fist, then your fist covers about 10 degrees on your field of vision, so if the moon is at 20 degrees altitude, it is about 2 outstretched fists above the horizon (read more about measuring angles in the sky). Because of this the best place to watch the eclipse is any place with an unobstructed view of the eastern horizon. Fun fact: because the moon will be very low on the horizon during the eclipse it will actually *look* quite large. This is an optical illusion known as the “moon illusion“, and will make this eclipse look more spectacular than your “normal” lunar eclipse. Pro tip: because this lunar eclipse takes place low on the horizon it will be easier to observe (and visible longer) from the eastern parts of the island, where the volcanoes don’t block out part of the horizon where the sun and moon rise. If you want to know the ‘how and why’ of lunar eclipses we recommend you read our lunar eclipse 101 guide. More details on this lunar eclipse (including a video preview) can be found here. The next total lunar eclipse visible from Hawaii will take place on May 25/26th 2021. 2019 is a poor year to watch the Lyrids. This year’s peak is expected around noon (daytime) on April 22nd and the waning gibbous moon is still very bright (full moon will have taken place a few days earlier at April 19th) during nighttime. 2019 is a good year to catch shooting stars belonging to the η-Aquariids meteor shower. Although this is not a very active meteor shower you will be able to see even the fainter ones because the new moon the night before (May 4th) leaves the night skies exceptionally dark. Hawai’i is the only tropical state in the USA. This comes with certain perks such as tropical weather and the two times each year when you don’t cast any shadow! But don’t worry, the sun isn’t that cruel on Hawaii! Unless you are on the hot lava plains without enough water to drink, that is. Better yet, Lahaina moon is a very cool photo opportunity and a time to stop and think about how exactly our earth revolves around the sun. Because of this, Lahaina noon occurs on slightly different times for different places. Happy Summer Solstice, today is the first day of astronomical summer! The summer solstice in 2019 takes place in Hawaii at June 21st just after midnight at 05:54 am HST. The Hawaiian term for summer solstice is “Ka māuikiʻikiʻi o ke kauwela” [source]. Midsummer night is the shortest night of the year, and you could try to make your midsummer night a special one. What better excuse is there for a celebration? Many cultures have festivities linked to the summer solstice, so what about organizing your own midsummer night party or pau hana’s? Lahaina noon is the moment when the sun is standing directly above you. This means that the only shadow you cast is directly below you, and that tall vertical objects. such as for example phone poles and beer bottles, won’t cast a shadow at all! You can read a more elaborate explanation about the Lahaina noon at the may listing of this event(1/2). If you’d like to look up the Lahaina noon for any other place the easiest way to do so is to look up the time and date of solar noon on which the altitude of the sun is exactly 90 degrees. You can do this for example on the timeanddate website. Alternatively you can go to this website to see the point on out planet where Lahaina moon is happening right now. 2019 is not a very good year to watch the Perseids because there is only a small viewing window during which the skies are dark. The best time to look for the Perseids is between 04:00 am and 06:00 am in the early mornings of August 13, 2019. The Perseids have a broad peak which on Hawaii will be between ~5 pm August 12th and 04 am on August 13th. You should also be able to see shooting stars belonging to the Perseids meteor shower a few nights before and after this night but with lower intensity. 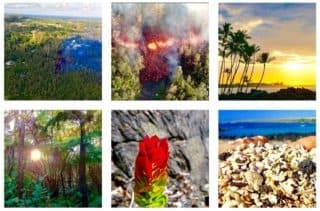 2019 Moon illumination and Sunrise and moonrise times for Kailua Kona on the Big Island. If you live on another Hawaiian island you can also use the previous table to see what are the best times for stargazing the nights between August 10th and August 14th, 2019 To convert these times to your location on Hawaii you should add some minutes depending on how far west you are. For example, 4 minutes for Kona, 7 minutes for Kahului on Maui, and 13 minutes for Honolulu on O’ahu. 2019 is an OK year to look for shooting stars belonging to the Orionids meteor shower. The moon rises at 00:47 AM on the 22nd and on 01:49 AM on the 23rd of October which means you’d have to restrict your stargazing to the dark hours before midnight. You can read more about the Orionids in our 2012 blog post on the meteor shower. 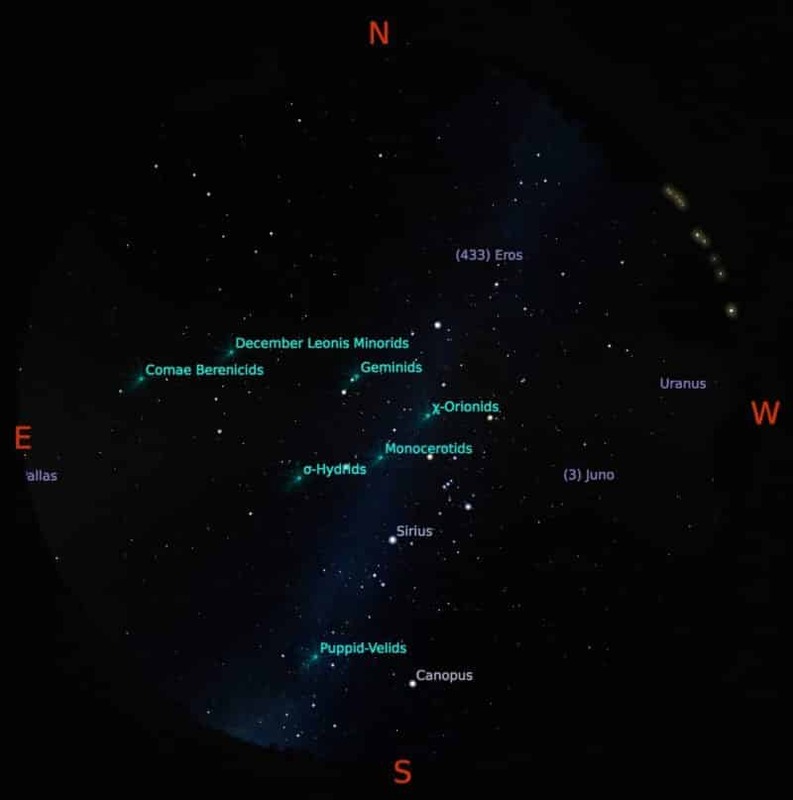 Shooting stars from the Orionids meteor shower are easy to find: just find the Orion constellation, look in its general direction, and relax your gaze. To find the Orion constellation you should look for the three bright stars in a line that make up the belt of Orion. These stars rise over the Eastern horizon just after sunset and will keep rising towards the east-south-east until they are almost overhead at dawn [how-to guide]. You can read more viewing tips in our meteor shower guide. The Leonids are not a very bright meteor shower, with an expected hourly rate of ~15 during the maximum. The peak of this shower from Hawaii will be November 18th. The moon rises at 23:41 on the night of the 18th, making it even more difficult for this shower to find a dark sky than it was for this years Orionids. The Geminids are one of the three yearly “big” meteor showers with peak rates (again, under perfect viewing conditions) of over 100 / hour. 2019, however, is not a good year for this meteor shower. The Geminids will peak just after midnight on December 14th, but the light of the waning gibbous moon will drown out all but the brightest of the Gemenids meteors. This year on Hawaii, the winter solstice will take place on December 21st just after noon (at 12:23 pm HST). The winter solstice represents the shortest day and thus the longest night on the Northern hemisphere. A solstice is an event that occurs twice each year as the Sun reaches its highest or lowest excursion relative to the celestial equator on the celestial sphere. You can read a more palatable explanation of exactly what a solstice is here. The Hawaiian term for winter solstice is “Ka māuikiʻikiʻi o ka hoʻoilo” [source]. All dates were selected from the International Meteor Organization Shower Calendar for 2019 (PDF). Moon rise and moon set times were retrieved from the timeanddate lunar calendar.